Monster Week has been filled with fun activities! So far we've done Mess Free Monster Painting and a Feed the Monster Game. We loved doing this simple disappearing alphabet letters activity shared by No Time for Flashcards so we thought it would be fun to try it with a Monster themed twist! 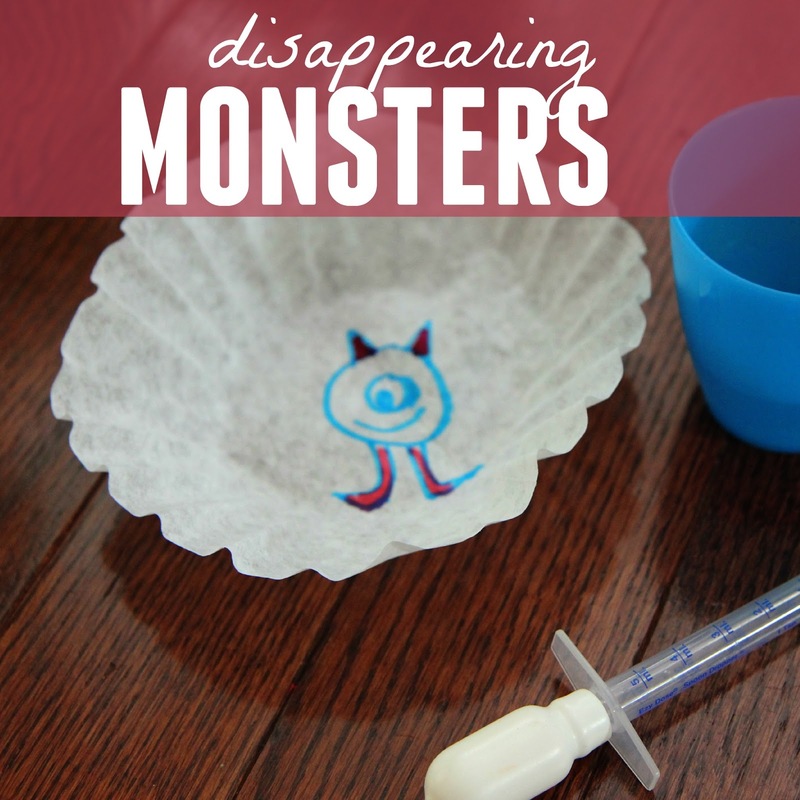 Today we are excited to share our simple disappearing monsters activity with you! 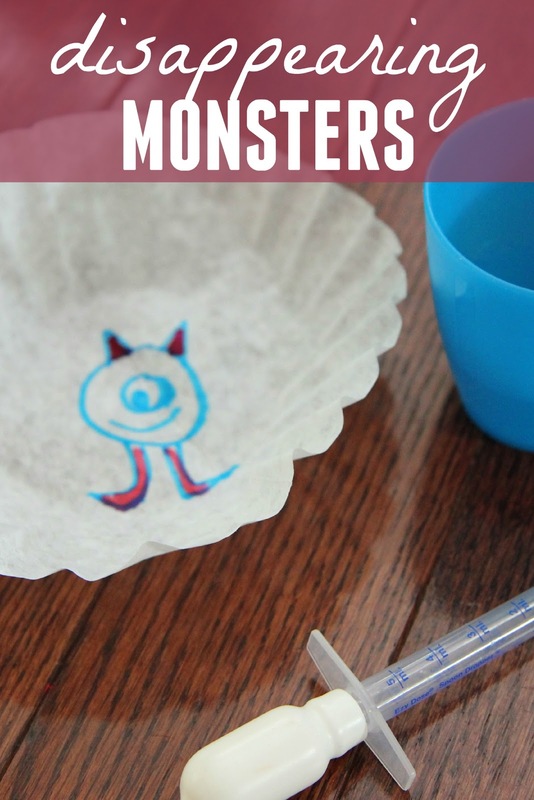 Draw a monster onto a coffee filter for your child or have them draw their own using markers. Using a dropper, drop water onto the monster picture. Watch as the colors mix and fade until the monsters have disappeared! The more colors you add to your monster, the more colorful your coffee filter will be at the end! Kids love to talk about the colors that mix and see what colors they can make as they drop the water onto the marker drawings. This activity is so simple but can be done again and again as kids create and color more monsters! You could easily adjust this activity to another favorite Halloween theme as well!